Future PS4 owners can now download the official PlayStation App to their Android and iOS devices. This app allows players to stay connected to PSN while they're on the go and also access a few new features. 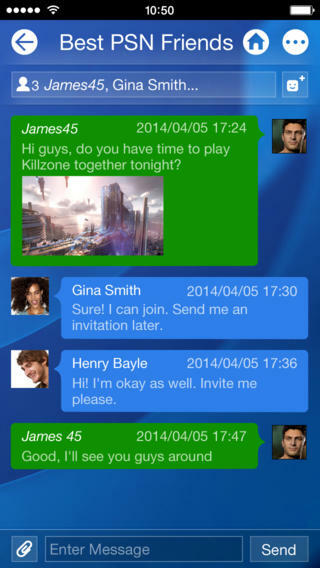 The PlayStation App gives players access to all of the social features of the PS4. 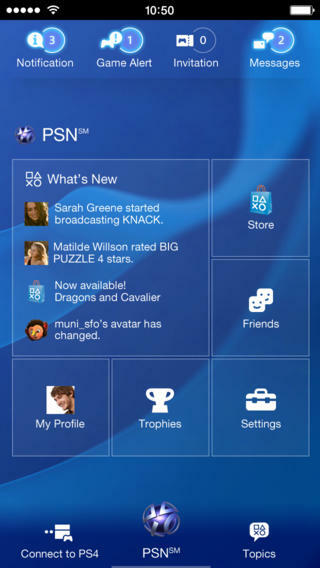 You can check out the PSN profiles, Trophy collections and activity feeds of your friends. You can also send voice or text messages to other players regardless of whether they're currently on PS4 or their mobile. Mobile devices with the app act as a keyboard for your PS4 as well so text messages are much less annoying when you're gaming. 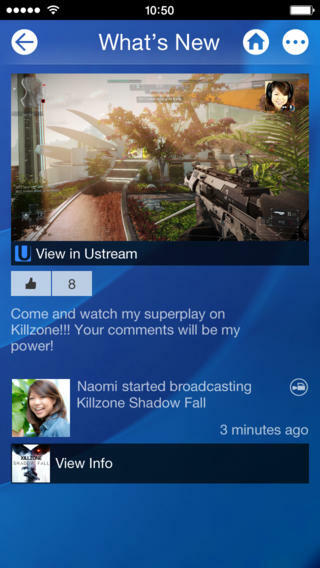 The sharing aspects of the PS4 are also available through the app. You can watch recorded gameplay footage from a friend's console. You can also peek in on a live broadcast though you're probably going to need Wi-Fi for that. Sony has fully integrated the app with the PlayStation Store, too. You can browse and purchase games and DLC through the digital store and then make your console start downloading them. That sounds like an extremely handy feature for anyone who wants to be able to jump into their new game as soon as they get home - in other words, everyone. The app is useful even when you're playing your PS4. It turns your mobile device into a second-screen for the console. You can browse manuals for hardware or software, or check for gaming news on PlayStation.Blog. Certain PS4 apps and games will also have their own unique second-screen features. For example, in the preloaded app Playroom you can draw objects on your mobile device and then see them modeled in 3D on your television. It's worth noting, though, that many games' second-screen features will require you to download an additional app. For example, changing your loadouts and chatting with other players in Battlefield 4 requires you to download Battlelog. The same goes for the second-screen features of Assassin's Creed 4: Black Flag and Call of Duty: Ghosts. 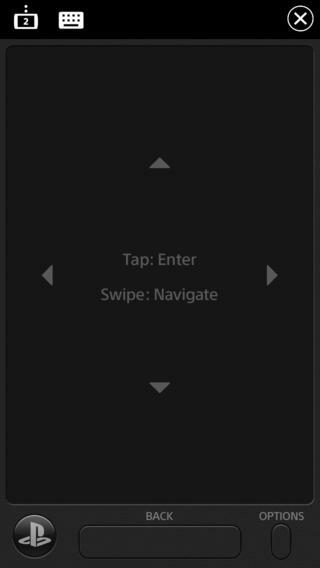 The Commander mode in BF4's multiplayer requires a separate app as well. 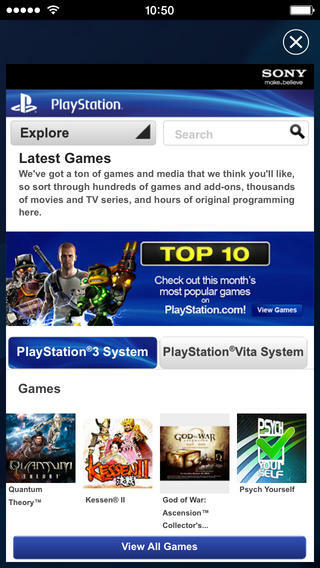 If you want the PlayStation app, you can find it at iTunes and the Google Play store. Note that those are the links for North America. The app won't be available in Europe until November 22nd, a week before the console launches in that territory.